It all started with a bit of curiosity, a taste for adventure and a well known perpetual need for challenges … After several e-mails exchanged with local start-ups, a “Due-Diligence” at the height of my capacities but also a certain appetite for new trends, my decision was quickly taken: I had to deepen my knowledge of the Asian FinTech ecosystem. And to the east, Quid Novi? In the East as well start-ups in this sector have already started to grow, developing and getting more attention. 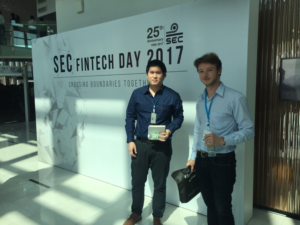 Having previously learned about different companies that have set up a part of their offices in the Thai capital (many of them have their legal entity in Singapore or Hong Kong for various reasons), I have been able to approach some of them putting in practice my knowledge in this specific industry. From Blockchain’s strategy implementation in the remittance market, and on-line payments, as well as cloud-accounting commercial development highly sought by local SMEs, available Entrepreneur in Residence positions created by Venture Capital syndicate this month was by far one of the most intense. These FinTech accepted that I accompany them during the full length of my stay in a healthy and long-lasting relationship. While more than 90% of the 743 million Europeans have access to financial services, the contrast with the ASEAN countries (Association of Southeast Asian Nations) is striking: out of 625 million people, less than 50% do not have access to a bank account with mind blowing gaps such as Singapore (90%), Cambodia (5%) and Thailand (70%). It is therefore understandable that these countries come to a consensus and target 70% by 2020. If, however, Thailand is an economically well positioned country, the infamous socio-economic pyramid is still up to date in which the current banking system has left most of its economic players at the bottom and therefore at the bottom of the social ladder. Therefore, local Fin-Tech has the possibility and the potential to be able to promote those without any financial network. It is in this particular context that financial technologies’ significance is growing and needed the most. Indeed, these specific ventures have the capability to provide economic stimulus through financial inclusion, financial services outreach and their low costs into low-income countries. Computer programs availability and their operational processes could be more or less identical than those of the West, although market response, potential users’ confidence and the technology infrastructure are very different. This is particularly the case for credit bureaus (National Credit Bureau-NCB): access to their real time database is extremely complex due to weak technological infrastructure which in turn drastically restricts potential disruptive agents’ usage. 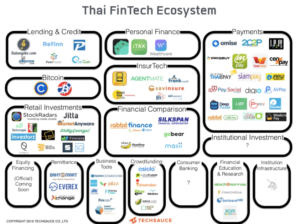 The Bank of Thailand (Bank of Thailand-BoT), fully aware of such obstacles to overcome, is then summoned to develop but also to accept viable solutions in order to create less complex frameworks which will not hinder innovation. 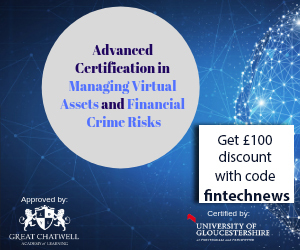 In order for FinTech to be helpful to the personal finance segment, it is essential for local people to understand the importance of ” Credits Scoring ” but also the benefits of these innovative services. Communication, education and trust remain key topics in this sector. 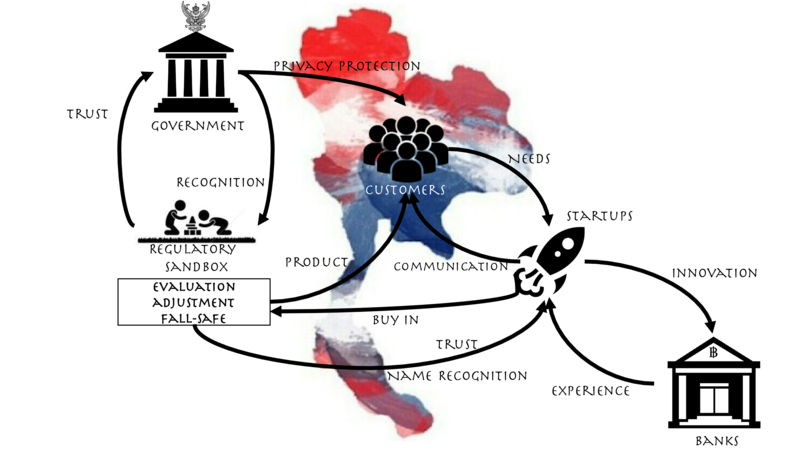 Let us, however, look at some overriding factors that may well be the determinants of this industry over time: a rapidly expanding Thai population that is urbanizing at an accelerated pace coupled with a strong attraction to mobile technology over many years, but also the priorities of the BoT in terms of digitization then reveal a considerable Eldorado for these starts-ups. 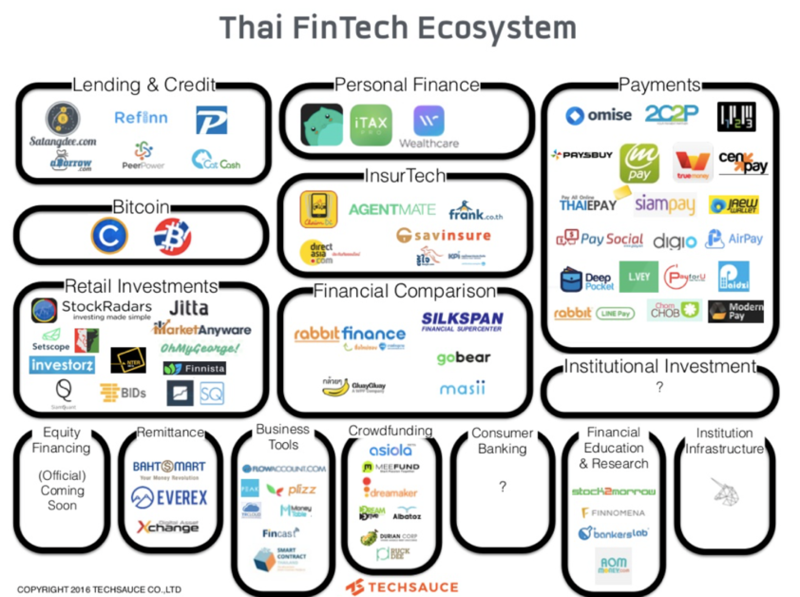 A non-endemic problem for FinTech in Thailand is by far the flow of both local and international investment. 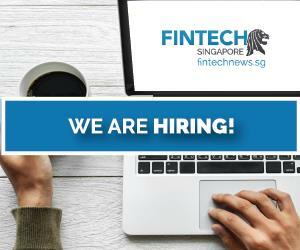 The Merlion city, which has become a leader in FinTech for some time now, has injected approximately 605 million US$ (+150 million US$ backed by the government) in this sector (2015). 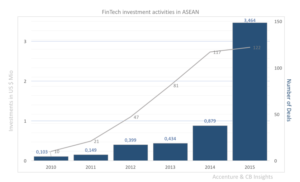 Last year, the Kingdom of Siam created a venture capital fund of US $ 570 million for Thai start-ups, thus establishing a cosy and suitable environment for innovation; 50% by the Ministry of the Digital Economy and 50% by the Ministry of Finance. In addition, Bangkok is also providing a concentration of incubators spread across its urban jungle supported by various arrangements between many partners and government, private sector companies and universities. Whereas four years ago, VCs could barely be counted on the fingers of one hand, there are more than sixty now in 2017. It is in this most favourable ecosystem that the government intends to fivefold the number of start-ups by 2018. With this capital inflow, it was therefore a requirement for the BoT to introduce certain regulations but also the obligation for these FinTech to register. Banking regulators also supported and promoted the promulgation of the Payment System Act (PSA), which would allow better conditions for overseeing electronic transactions. Indeed, those are currently the focal point and attract VCs’ interest: digital payments and banking transactions jumped from 32% in 2010 to 62% in 2014 due mainly to mobile penetration rate of 146% in 2015. In order to not hinder this booming momentum, the government shall then provide access to data collected by credit bureaus to different players (P2P lenders) but also relax certain rules that will allow banks to invest in FinTechs. Recent initiative took by the Central Bank is to ensure a safe and supportive environment by establishing a ‘sandbox’ allowing various start-ups to continue raising capital without worrying about stringent regulatory standards. Governor Mr. Santiprhbhob says this tool will ramp up many opportunities while experimenting various ranges of products and services and in the same time allow companies to stimulate demand while controlling and monitoring possible risks too. The three predominant criteria of this “sandbox” gravitate around barriers’ removal for local FinTech growth, the protection of consumers but also the surveillance of services that could endanger the financial and economic system. Although these procedures are barely established, regulators can always draw inspiration from their neighbouring countries which have previously promulgated pilot tests, as in Singapore by the Monetary Authority of Singapore (MAS) and in Australia by the Australian Securities Investment Commission (ASIC). Although forecasts may be biased, economic indicators speak for themselves: analysts expect an economical growth of 6.2% by 2017-21 in the 10 ASEAN member countries (3.2% for Thailand) while a mere 1.2% is expected in the European region. 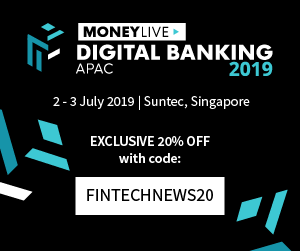 On top of this, the great interconnection but also large financial centres hubs neighbouring such as Singapore and HK allow the Siam FinTech to be able to evolve at a constant rate while benefiting from the experience of its nearby living countries. 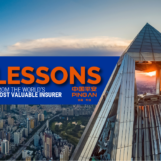 The regulatory environment in Thailand is therefore well-suited for businesses but also a secure economy combining low expenses, low operational costs and lifestyle pretty much affordable. 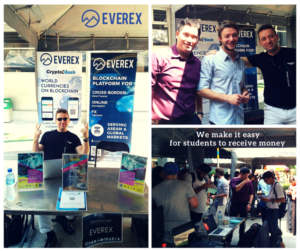 This ecosystem is complemented by numerous being available to fast growing companies. Young millennial entrepreneur, Jean-Armand has been based in Switzerland for the past two years. 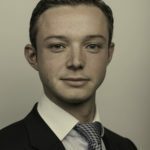 His spark of interest in FinTech emerged from his professional experience and academia path spread in four of the five continents acquired during the last ten years.With a diverse background in consulting and socio-economic research, his areas of focus evolved around disruptive economics models & financial disintermediation.